I worked on the whole user experience design process, including user journeys, wire-framing, mock ups, full user interface designs, prototypes and handoff to the developers. 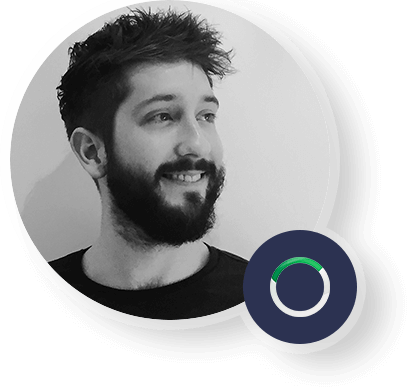 London based designer focusing on User Experience, User Interface & Web Design. I'm passionate about helping start-ups with my design skills and have worked with clients from across the globe. Luup (London, UK), Pobble (London, UK), Mr Signwriter (Newbury, UK), Sally Kelly (London, UK), Concrete Platform (London, UK), Companybook (Oslo, Norway), Rothenberg Ventures (San Francisco, USA), Just-ITC (Dubai, UAE), Trevian Wealth Management (Boston, USA), MBA & Co (London, UK), BaseKit (London, UK), Advanced Photoshop Magazine (London, UK). Product Design, User Experience Design, User Interface Design, Web Design, Graphic Design, Illustration, Branding and Identity, Startups, Adobe Creative Suite, Webflow, HTML, CSS, Invision.